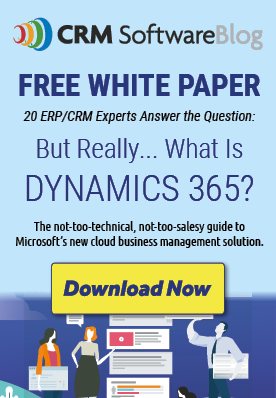 ERP to CRM integration is one of the hottest trends in the technology industry. By connecting the finance team with the sales/marketing team, organizations are no longer having to re-key data into both systems and are able to run reports that pull data from both systems simultaneously. By connecting these two systems, sales orders can flow directly from the CRM system to the ERP and revenue can be calculated in the ERP and flow back into the CRM. Detailed reporting and dashboard functionality usually sits on top of your CRM system and allows you to run detailed reports of your sales, marketing and support operations. This gives the operations team an up-to-date look at the sales pipeline and insight into marketing program effectiveness. The impact of social media on business has been so significant that it has become difficult to quantify. Companies of all sizes are using social networking platforms such as LinkedIn, Twitter, Facebook, YouTube and SlideShare to share information and ideas, and engage their clients with relevant information. Integrating social media with your CRM system can take this to another level, as customer/member records get automatically updated with the latest tweets and posts. The rise of mobile applications such as tablets and smartphones has been rapid and they are now commonplace in the business world. By connecting your CRM system through these mobile apps, everyone from executives to sales managers can get real-time access to performance and pipeline data from anywhere in the world. Integrating your CRM system with your other business applications is now being viewed as a “need” rather than a “want”. The benefits described above are game-changers and organizations that are utilizing them have a competitive advantage in the marketplace. For more information on integration, view the recent webinar presented by BroadPoint and Scribe on data integration trends and priorities.